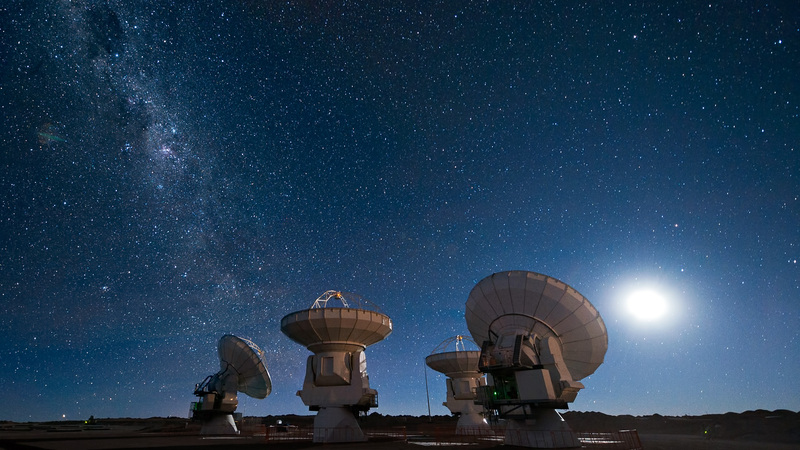 Four antennas of the Atacama Large Millimeter/submillimeter Array (ALMA) gaze up at the star-filled night sky, in anticipation of the work that lies ahead. The Moon lights the scene on the right, while the band of the Milky Way stretches across the upper left. 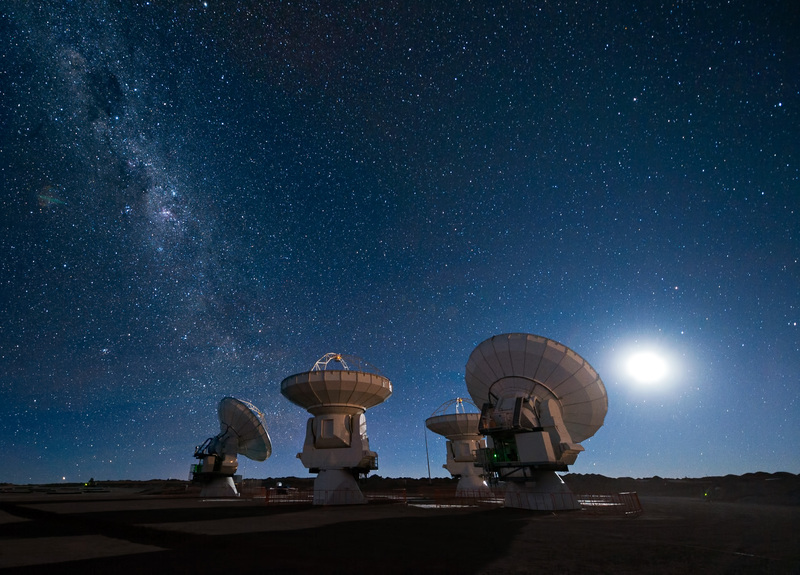 ALMA is being constructed at an altitude of 5000 m on the Chajnantor plateau in the Atacama Desert in Chile. This is one of the driest places on Earth and this dryness, combined with the thin atmosphere at high altitude, offers superb conditions for observing the Universe at millimetre and submillimetre wavelengths. At these long wavelengths, astronomers can probe, for example, molecular clouds, which are dense regions of gas and dust where new stars are born when a cloud collapses under its own gravity. Currently, the Universe remains relatively unexplored at submillimetre wavelengths, so astronomers expect to uncover many new secrets about star formation, as well as the origins of galaxies and planets, when ALMA is operational. This picture was taken by ESO Photo Ambassador José Francisco Salgado.